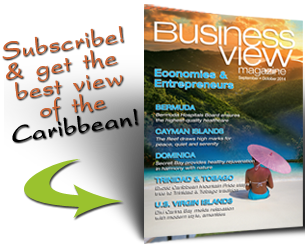 Business View Caribbean interviews Dwight Sanford, Resort Director of Rosewood Little Dix Bay resort, as part of Best practices in British Virgin Islands Business. 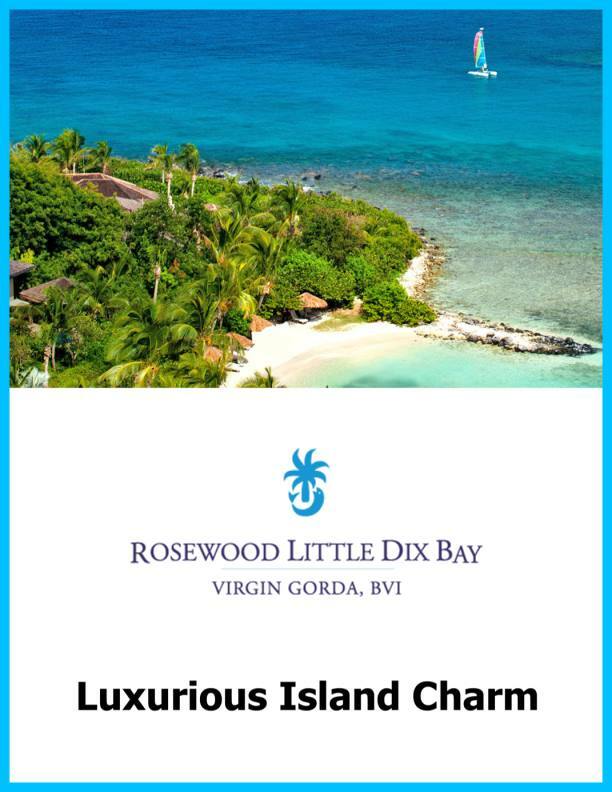 Though it’s marking 50 years of existence throughout 2014, the origins of what is now the Rosewood Little Dix Bay resort stretch all the way to 1958 – when U.S.-based philanthropist and conservationist Laurance Rockefeller happened upon the location during a sailing trip with his wife, Mary. He was so enchanted by Virgin Gorda – now the third-largest and second most-populous island in the British Virgin Islands archipelago – that he wanted to try and maintain its raw and rustic feel even while pursuing development opportunities throughout the rest of the island. The property became part of a chain of Rockefeller-owned hotels and resorts called Rockresorts Inc. at its inception, but its ownership has changed hands a few times since. Rosewood Hotels and Resorts LLC acquired it in the 1990s and was the facility’s principal operator until June 2011, when the Rosewood group itself was taken over by Hong Kong-based New World Hospitality. The 50-year milestone is being celebrated with a series of rotating offers upon availability, including a package for seven-night guests in which two of the nights are billed at $50, daily breakfast is available for $50 per couple, a dinner for two in the property’s Sugar Mill restaurant is $50 per person, two 50-minute massages are offered for $50 apiece and round-trip transfers from Tortola Airport are $50 per person. Additionally, guests that reserve a five-night stay that includes the 18th of any month are charged $50 for that night and provided a complimentary breakfast at the Pavilion restaurant. The property is these days home to 95 regular rooms, six villa homes that are managed and serviced by the resort and six additional exclusive vacation homes. The employment staff is the island’s largest at 330, and covers the hotel and its three affiliated restaurants, fitness center and tennis courts, in addition to an assortment of water activities. Sanford said the staffing level has remained “pretty steady” over the years, thanks to a relative absence of seasonal hiring that goes on at other properties. Sixty percent of overall traffic comes from the U.S., primarily the Northeast region, Chicago, Los Angeles, Texas and the Southeast. The United Kingdom is good for about 20 percent of the overall number, with the remaining 20 percent divvied up among Canada, Germany, Italy, France and the Caribbean. And when it comes to why they’re visiting, Sanford is quick to provide a testimonial. 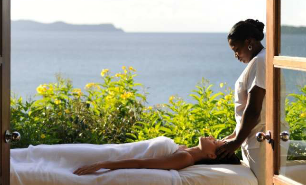 “We like to talk about the natural beauty of the British Virgin Islands,” Sanford said. “It’s authentic. There’s not a lot of commercialism. 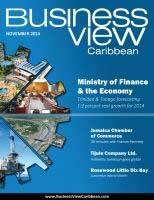 The BVI has 21 national parks. There’s an assortment of plants, birds and marine life, and 59 square miles are made up of beautiful rolling hills and isolated beaches. “The way the volcanoes have created some of the islands is simply stunning. You have the quiet waters of the Caribbean Sea. The temperature is pretty much steady year-round, and you never have a need for a jacket down here. It’s not difficult to come up with a reason to be here. Another distinction from other venues: There are no TVs in the guest rooms and only one on the entire property – in the activity center – a reality that Sanford said occasionally leads to a dissatisfied guest, but allows the property as a whole to stay true to a desire to provide a low-technology respite. The resort will close from Aug. 27 to Oct. 12 for a 2014 improvement project that will include a new paved service road with a walking lane, installation of a $1.6 million IT infrastructure/phone system, new beach chairs and cushions, a new adults-only pool, resurfacing a pair of tennis courts and renovation work on the property’s three restaurants. Also tentatively planned for that stretch is the conversion of some existing quad units to one-bedroom units; but overall, the progress made over the next several years will far more cosmetic in nature than fundamental, Sanford said. “We will have a fresher look and a cleaner look, but one thing that people have come to appreciate about Little Dix Bay is that it doesn’t really change a lot,” he said. “Sometimes the guests will let us know how they feel. A few years back, we were looking to change the color of our beach towels, and they let us know how they felt about that and we didn’t do it. Check out this handpicked feature on Chabil Mar Resort Belize.